‘Real Time With Bill Maher’ Returns This Friday With Bill Nye The Science Guy!! 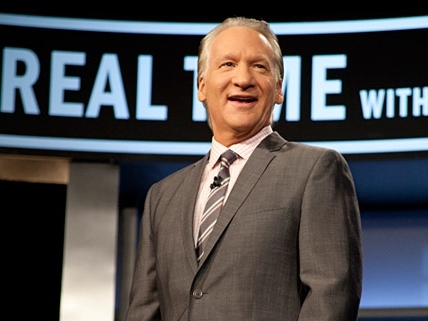 REAL TIME WITH BILL MAHER returns from hiatus and resumes its 11th season FRIDAY, SEPT. 13 (10:00-11:00 p.m. live ET/tape-delayed PT), with a replay at 11:00 p.m., exclusively on HBO. Allowing Maher to offer his unique perspective on contemporary issues, the show includes an opening monologue, roundtable discussions with panelists, and interviews with in-studio and satellite guests. Emmy® winning scientist Bill Nye is the mid-show interview guest. The roundtable guests are economist Zanny Minton-Beddoes, former Lt. Governor Michael Steele and editor Matt Taibbi. The top-of-show interview guest will be announced when confirmed. Learn Who Guests on Bill Maher This Friday!!! Find Out Who Guests on the Return of Bill Maher This Week On HBO!!! This entry was posted on Thursday, September 12th, 2013 at 11:40 am	and is filed under News, Television. You can follow any responses to this entry through the RSS 2.0 feed. You can skip to the end and leave a response. Pinging is currently not allowed. Anakin! Tell them to take off!